Chicken Taco Soup made in the slow cooker/crock-pot - tastes like the Chicken Tortilla Soup from Chick-fil-a - SO good! Freezes well too! 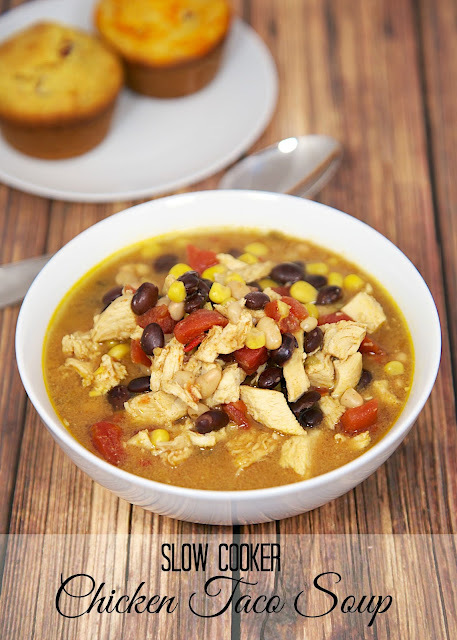 This Slow Cooker Chicken Taco Soup reminded me a lot of Chick-fil-A's chicken tortilla soup, which is my favorite. I wait patiently every year for them to add it to the menu. I am SO excited to have a copycat recipe. I love that I can have this soup anytime I want! This is super simple and tastes great! We ate this for dinner and lunch the rest of the week. It tastes just as good, if not better, reheated. This will also freeze well. You can freeze all the ingredients before making it for a quick freezer meal, or you can make it and freeze the leftovers. Either way it is a hearty and delicious meal! Combine all ingredients in slow cooker. Cook on LOW 6-8 hours (can cook longer if necessary). Remove chicken from slow cooker and chop. Add chicken back to slow cooker and serve. Freezer meal: place all ingredients in a ziplock freezer bag. When ready to cook, place contents of the bag in the slow cooker and cook on LOW for 8-10 hours. Remove chicken from slow cooker and chop. Add chicken back to slow cooker and serve. Hi Stephanie! Do you cook the chicken first? Love your recipes as always! Do you use condensed cream of chicken soup? do you use a can of condensed cream of chicken soup or just plain cream of chicken soup? Made this last night. I already had cooked chicken in the freezer so made it on the stove top. 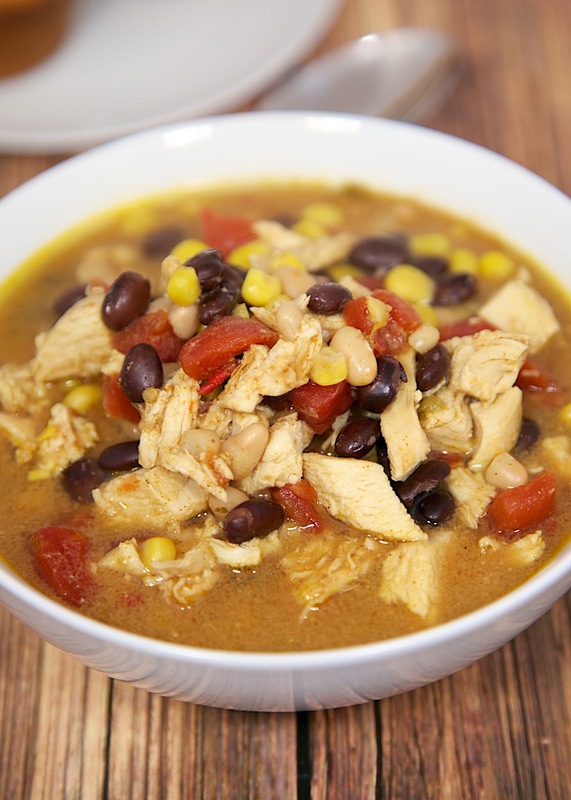 Delicious, best taco or tortilla soup I have made. This is a keeper for sure. Had another bowl for lunch today.